Monday Mystery: The Sparkled Band | Skinner Co. Note: Last time Hugh chose a medium mystery. Connie lies dead in a ring with Sheila. Police arrest Tanya for Connie’s murder, and Sheila goes free. How did Tanya kill Connie? What role did Sheila play? Disclaimer: Monday Mysteries are culled from the 1993 Milton Bradley game, Crack the Case – but don’t go peeking. Skinner Co. makes no claim to the intellectual property presented here, we’re just a number of friends playing a board game in a digital living room. Was it a circus ring? Was Connie a trapeze artist? Is Sheila the Ring Master? Does the murder involve a gun? Is the weapon a dagger? To clairify: shiela isn’t a Lion? In a physical sense, rather than a legal one, did Sheila kill Connie? Was there an apple involved? Did the murder involve a bullet catching trick? Was Connie a trainer for Sheila? Was Tanya a trainer for Sheila? Were Connie and Tanya involved with the same man? Connie trained Sheila the Tiger. Tanya and Connie were involved with the same man. Did Tanya put something in Sheila’s food that made her act erratically? Did Tanya use a mirror to shine light into Sheila’s eyes, making her mad? Did Tanya use a mirror to shine a light in Connie’s eyes, distracting her at a critical moment? Did Tanya do anything to anger Sheila such that she attacked Connie? Was Sheila in an “altered” state, e.g., drugged, during the time of the attack. (I think Doc Blue asked this, but want to make sure). There were no unusual chemicals found in Sheila’s blood. Did Tanya put some kind of scent on Connie that made her unrecognizable to Sheila? Did Tanya put some kind of scent on Connie that made her seem like food to Sheila? Without giving too much away, (and since the card’s hints were of no help this time around,) I think it would be fair to say the title of this one is significant. Did Tanya shine a laser ppinter on Connie, knowing that even a great cat would be unable to resist pouncing at it? Did she feed the Tigre food with the same sort of sparkled band that Connie wore during her performances? Was Connie wearing a sparkled band? Was Sheila wearing a sparkled band? Was Tanya wearing a sparkled band? Was the sparkling band a ring of fire? DId the sparkled band conceal a shock collar? Did the sparkled band enrage the tiger? Did the sparkled band in any way cause the tiger to attack? Was the sparkled band the trigger? 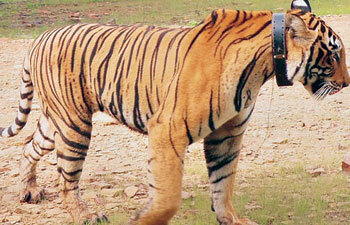 Did the band restrict the Tiger’s head movements in such a way that it caused her to attack? Was there another tiger in the ring with Connie and Sheila? Was the second tiger also wearing a sparkled band? Was Sheila annoyed by flashes of light, causing her to attack Connie? was the sparked band a wedding ring? Did the second tiger trigger the attack by Sheila? Is the second tiger involved in the solution to this anything but medium puzzle? Ha! 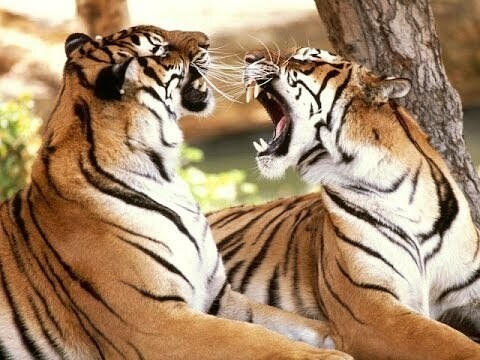 Yes, the fact that there are two tigers is essential. Was the second tiger wearing a band that did not sparkle? No, despite the fact that she looked exactly like Sheila, she was wearing no band.